Nickel Plated Electric Strings wound on Hexagonal Cores NEONTM is the second in DR's SuperStringsTM series. Super bright in day light, and with stage lighting. DR's NEONTM strings are so bright in appearance "they look like they are on fire." 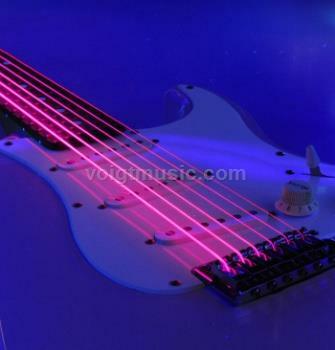 DR's NEONTM strings shine brightly under stage lights, and are 100% black light active so they glow strongly under UV lighting. And DR's NEONTM sound as good as they look. As Joey Clemment from Salena Gomez said, "Yeah they look great, but they sound incredible!"